company74 trinkspiel drink - drank - drunk | ausberlin - das kaufhaus für produkte aus berlin. 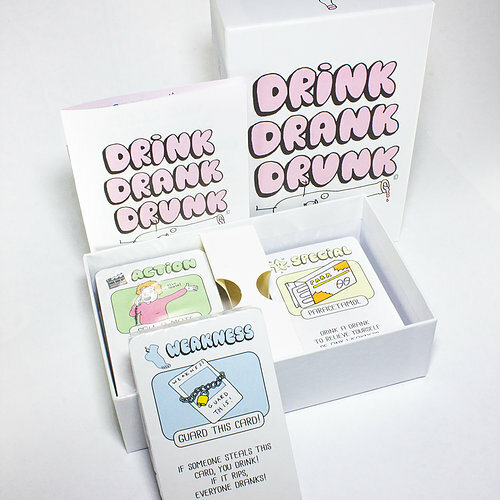 Produktinformationen "company74 trinkspiel drink - drank - drunk"
1. action cards: diese karten erfordern eine sofortige Handlung und werden nach einsatz aus dem Spiel genommen. 2. special cards: diese karten können geheimgehalten werden und kommen bei bedarf einmalig zum einsatz. 3. rule cards: diese karten werden in der mitte plaziert und gelten für alle mitspieler da sie die regeln bestimmen. es sind maximal 2 karten im umlauf. 4. weakness cards: sichtbar platziert vor jedem mitspieler der sie gezogen hat schwächen sie diesen. 5. power crads: sichtbar platziert vor jedemdem mitspieler der sie gezogen hat stärken sie diesen. 6. wild cards: diese karten verändern den spielmodus nach vorher selbst definierten aktionen und regeln. 7. the black card: diese karte ist der joker und kann als strafe durch spielverlust oder als rettung in letzter sekunde eingesetzt werden. 200 ingenious cards of intoxicating illustrations and endless replayability. play our game modes or make your own! from team games, free for alls or the classics with a triple D twist. 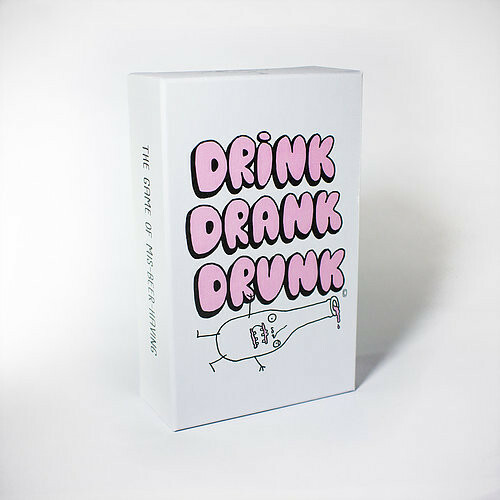 this is the fun for all drinking game to end all drinking games. 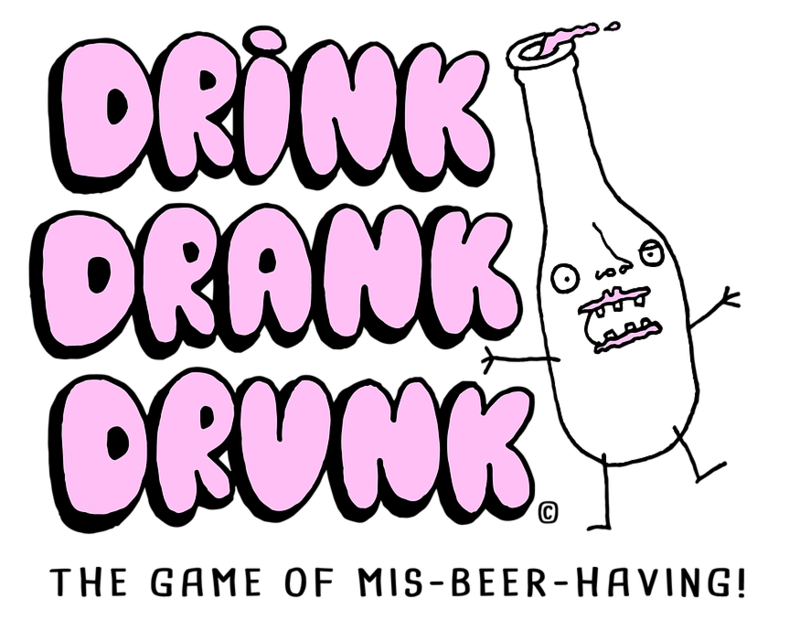 this, is drink drank drunk! 1. action cards: Action cards take action the moment. they are picked up and then discarded. 2. special cards: These cards can be kept secret and used only once before being discarded. 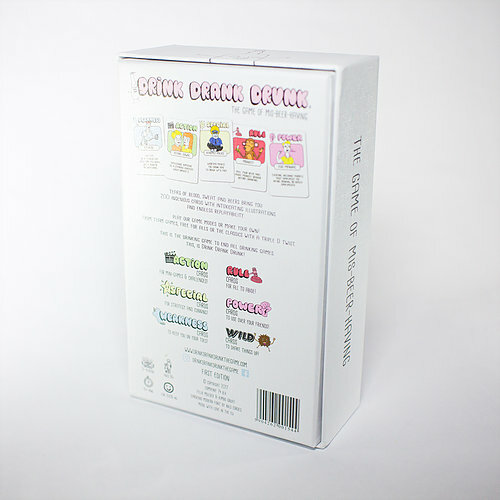 3. rule cards: Placed in the centre of the table, these cards apply to everyone! Max. of 2 in play at a time. 4. weakness cards: Placed visibly in front of the player who drew them, these cards weaken whoever owns them. 5. power cards: Placed visibly in front of the player who drew them. these cards empower their owner! 6. wild cards: Wild Cards change what they do depending on the Game Mode! We also recommend you add your own house rules or actions to these cards! 7. the black card: To create your most ultimate forfeit and/or to be used as a wild card depending on the game mode. Weiterführende Links zu "company74 trinkspiel drink - drank - drunk"
Kundenbewertungen für "company74 trinkspiel drink - drank - drunk"